Today we are continuing our two part article on opioid addiction and the workplace. Check out part 1 here. We are joined once again by Kelly Nantel, the VP of Communications and Advocacy at the National Safety Council (NCS). HR Daily Advisor: Has opioid addiction affected the workplace? Kelly Nantel: Absolutely. A 2017 NSC survey found that 7 in 10 employers are impacted by prescription drug misuse; nearly half (48%) identified a negative business impact; one-third reported workers had a family member affected by the crisis; 1 in 10 companies reported an employee overdose; and 1 in 5 companies reported knowledge of employees selling or borrowing prescription medications or having drug-related arrests. HR Daily Advisor: Many employers screen for drug use. Does that work? Kelly Nantel: It certainly can help address the issue. Drug-free workplace programs are cost-effective, save employers money, and help keep employees safe. Many organizations are updating the language in their programs to reflect the responsibility an employee has when it comes to potential impairment from a prescription drug. 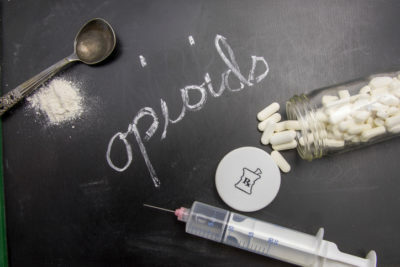 HR Daily Advisor: What more can employers do face the opioid crisis, to protect their workers, and to protect themselves? Kelly Nantel: Employers should have a clear, written policy on drugs and alcohol in the workplace. In addition, they should insist on conservative prescribing guidelines for pain treatment from all participating providers in their medical, workers’ compensation, and occupational health programs. Also, healthcare plans should cover physical therapy and substance use treatment programs, and employee assistance programs (EAPs) should be considered. Lastly, educating employees about opioids can help keep workers—and the organization they work for—safe. In fact, the NSC provides “Warn Me” labels free of charge that can be put on insurance cards. These labels are a sign to medical professionals that a person wants answers to questions such as: Am I being prescribed an opioid? And, if so, is there a nonaddictive alternative? HR Daily Advisor: What role do employers have in helping end opioid addiction? Kelly Nantel: A persistent gap exists between employer perceptions of the impact and the actual human and business costs of substance use. Evidence shows prescription opioid misuse is a serious risk to employees and can lead to substantial costs for employers. So, employers have a responsibility to help curb the issue. Research shows that employer-initiated treatment programs are more effective interventions than family- or friend-led actions. Simply said, employees who receive help from their employers often have a better chance of long-term recovery. HR Daily Advisor: Are you aware of any common legal concerns surrounding opioid addiction in the workplace? Kelly Nantel: The Council is not familiar with specific legal concerns. The NSC believes the prescription painkiller epidemic poses unique challenges, and any employer with legal concerns should consult its general counsel, its EAP provider, and its Human Resources professionals. These are legal drugs prescribed by licensed providers for pain that may be caused by workplace-related injuries. Drug-free workplace programs—including drug testing, the handling of positive results, and policies about prescription drug use in the workplace—need to be revisited.